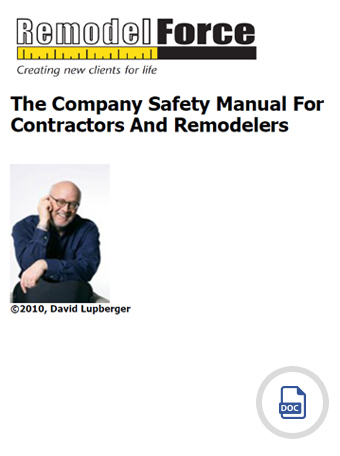 As with the Employee Manual, the Safety Manual will help you create a customized company safety program. This Manual is the foundation to keep the Company out of hot water with OSHA and the Company insurance company. As with the Employee Manual, the Safety Manual will help you create a customized company safety program. This Manual is the foundation to keep your company out of hot water with OSHA and insurance companies.